The financial havoc the Great Recession wreaked on American households took a substantial toll on their savings. But even now, years into economic recovery, saving money continues to be a struggle. 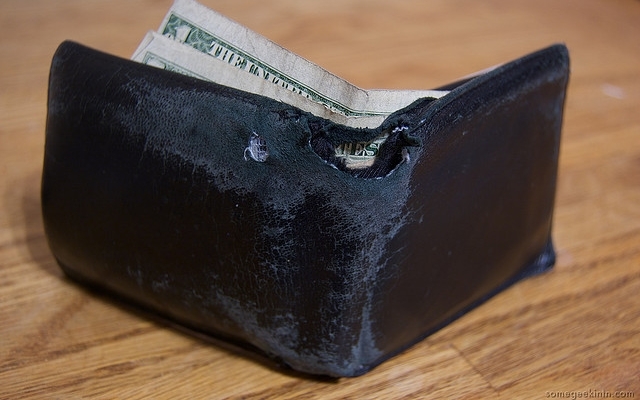 A new survey from GOBankingRates and The Penny Hoarder unearthed a startling statistic: 73 percent of Americans have under $1,000 saved for an emergency — or don’t have a savings account at all. Are things at least looking up? The Bureau of Labor Statistics’ June 2014 report revealed that employers added 288,000 new jobs to the market, more than the 215,000 jobs originally projected by economists. But though this is a promising sign for anyone looking to regain financial equilibrium after a job loss, Americans’ general inability to save money might not wholly be tied to external factors like employment opportunities and salary caps. Rather, our haplessness when it comes to money management is also partly a product of shifting priorities and an inability to regulate our subconscious behaviors. Though they’re not exactly life essentials, phones and social media provide something the brain loves: instant gratification. In a millisecond, cell phone users can reach out to a friend, make plans for the night and post a pithy Facebook status. Unfortunately, saving money doesn’t provide this kind of immediate feedback. People seek out pleasurable activities, like shopping and exercising, that activate the reward centers of the brain. Saving money for retirement or another long-term goal, however, requires the opposite — forgoing pleasure in the present to prepare for a future reward. Perhaps that’s why a 2013 PNC survey found that 70 percent of Americans plan to get more exercise regularly, while only 46 percent plan to save and invest more money. To get around this behavioral bias, Americans need to try savings approaches that conceal the “pain” trigger associated with saving, and hit the brain’s reward centers. GOBankingRates and The Penny Hoarder identified a few creative ways to save money that can help savers feel rewarded for padding their savings accounts. You don’t know what you’ve got until it’s gone, which is why blinding yourself to your true income can be a creative way to save money. If your paychecks are directly deposited into your checking account, set up an automatic transfer of a percentage of your income into your savings account. Going a step further, employers can actually help you reach your savings goal. You can often request a specific amount of your paycheck to automatically route itself to your savings account, so it’s never actually accessible via debit card or personal check. Don’t forget, you can also sign up for your employer-sponsored retirement plan as another automated savings vehicle. Sometimes it can even be helpful to set up a savings account at a separate bank so you’re not tempted to transfer money back to your checking account when it gets too low or you want to buy something completely unnecessary. Another behavioral trait most people carry is a competitive spirit. Whether you enjoy testing just yourself or competing against a group of people, you can join a savings challenge that will push you to put more money away. A short savings sprint might be all you need to secure an emergency fund — and a finish date can help you push through. The 52-week savings challenge is one great way to save a specific amount of money in a finite amount of time. Each week for a year, you save one dollar more than you did last week — meaning, at the most, you’d set aside $52 on the last week. By the end of the year, you’ll have saved a comfortable $1,378 emergency fund. Popular retailers like Target and Nordstrom offer — or really, push — self-branded debit cards to their customers. By linking their checking account to a retail debit card, shoppers benefit from instant discounts, as with Target’s automatic 5 percent savings on purchases and Nordstrom’s cash-back reward certificates. What’s the catch? There really isn’t one: Stores benefit from offering this service because they save money on costly merchant interchange fees and customers reap valuable savings — which can be put into a deposit account. An unfulfilling and unmotivating work environment can lead to stress and unhappiness. In these situations, you might subconsciously turn to retail therapy for comfort. The instant gratification of buying something might provide a temporary reward, but can be hazardous to your savings. What’s the answer? Look for a more fulfilling — and more lucrative — hobby, and don’t let your stress relief depress your bank account. A 2012 national credit card study revealed that 28 percent of low- to middle-income households paid a credit card bill late that year. Those fines can add up quickly, with most credit card companies charging $25 a pop. And it’s not just credit cards; if you found yourself late on utility bills, cell phone payments or student loans, you could quickly be paying hundreds of dollars in fees every year. To eliminate this possibility, put all of your bills on auto pilot and schedule reoccurring bill pay with your local bank. Then, go through last year’s bank statements, add up the total amount of money you spent on late/overdraft fees and commit to saving the same amount in a savings account this year. Your turn: Does it surprise you that 73 percent of Americans have less than a $1,000 saved? Have you ever tried tricking yourself into saving more money? Let us know in the comments below. These tips could trick your brain into saving more money.